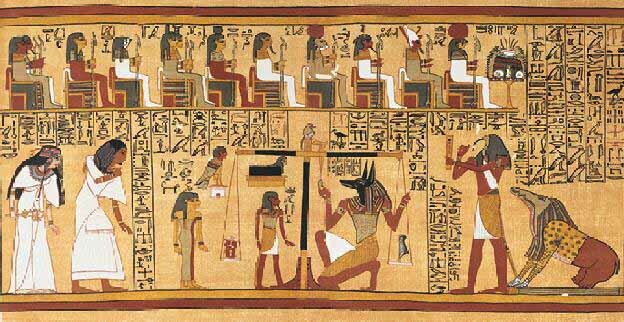 The literature that make up the Ancient Egyptian Funerary Texts are a collection of religious documents that were used in Ancient Egypt, usually to help the spirit of the concerned person to be preserved in the afterlife. They evolved over time, beginning with the Pyramid Texts in the Old Kingdom, which were the concern only of royal burials, through the Coffin Texts of the Middle Kingdom, the several books in the New Kingdom and later times. The Underworld was known as the Duat.